-1987. In many ways, this year is the beginning of the golden era in hip hop. 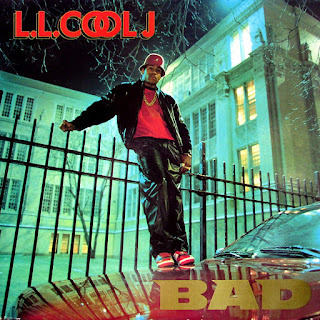 We've seen so many amazing albums over the years and decades, but if one wants to truly pinpoint a time when there was evolution for hip hop, from a lyrical and style standpoint, this was it. 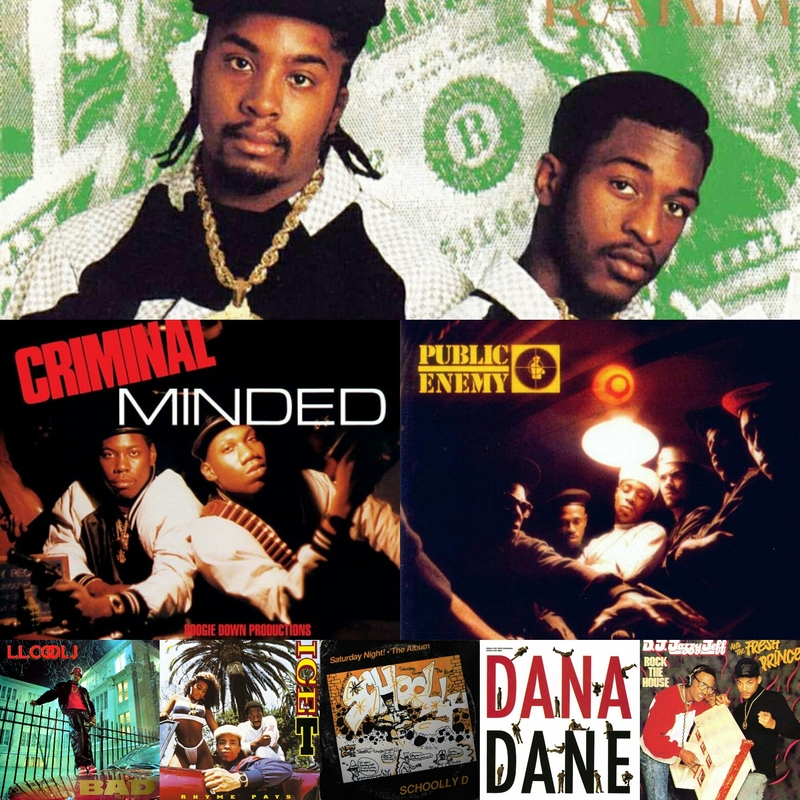 The period between 1987 and 1989 was a truly revolutionary time in hip hop, and this year would see some great releases, though none greater than Eric B. And Rakim's Paid In Full album. That album is what I remember the most about 1987. It was a flawless release at the time and one of my favorite moments in hip hop history. The introduction to Rakim is something that would shape the landscape and change hip hop forever. The rest of the year featured great releases from NWA and The Posse, BDP, Public Enemy, and many more. Today, we look back at the year that was 1987. We're taking it back to the beginning of the golden era, 1987. As I've said in previous articles, the releases from the '80's were not only amazing in their own right, but critical to the culture and served to shape the very best decade of hip hop. This is one of those years that didn't see a ton quantitively, but out of the mere couple dozen that were released, we saw some very important debuts. Let's go through the few that I personally think are incredible, and as always, in no particular order. Weighs A Ton", "You're Gonna Get Yours" and "Public Enemy No. 1" are among the certified classics. This is the album that began shaping the groups socially aware and controversy stricken content years after, and we don't hear it as much in this particular album, but seeing as though this is the debut, we wouldn't expect it anyways. They were refining their angle and perfecting it for later projects. Chuck D, Flava Flav, DJ Lord, Professor Griff and the squad definitely created something that would revolutionize rap music. Once again, I draw your attention to the cover art. It speaks volumes to what the group stood for and would talk about for years to come. 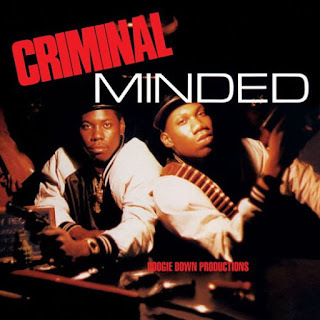 Another debut from one of my favorites, Boogie Down Productions would release "Criminal Minded". I'm sure everyone is familiar with my love for KRS-One so of course this is going to be a critical release. 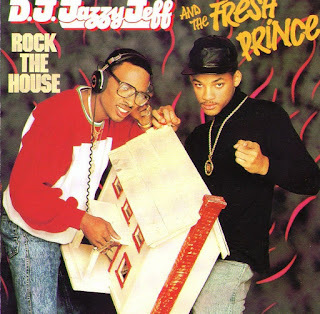 These guys had everything, from reggae/dancehall to James Brown samples to rock, the production is nearly flawless. 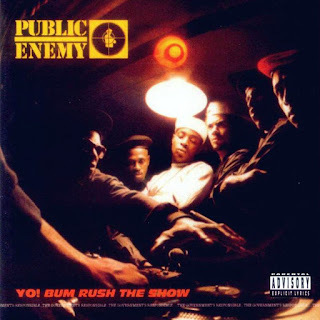 Let's talk about impact though, not only did this release display glimpses of what "gangster rap" could be (and would be used in later years by other artists from NY), but this is the album that gave us "The Bridge Is Over", one of the first recorded "diss tracks" in hip hop and probably one with the most successful repercussions. It essentially was aimed at MC Shan and Juice Crew and is attributed to the end of Shan's career in rap. This track alone would go on to create an entirely new method of handling conflict within the genre. Other tracks that had equal importance and impact is "South Bronx", which much in the same vein, addressed a rivalry between Queens and Bronx. 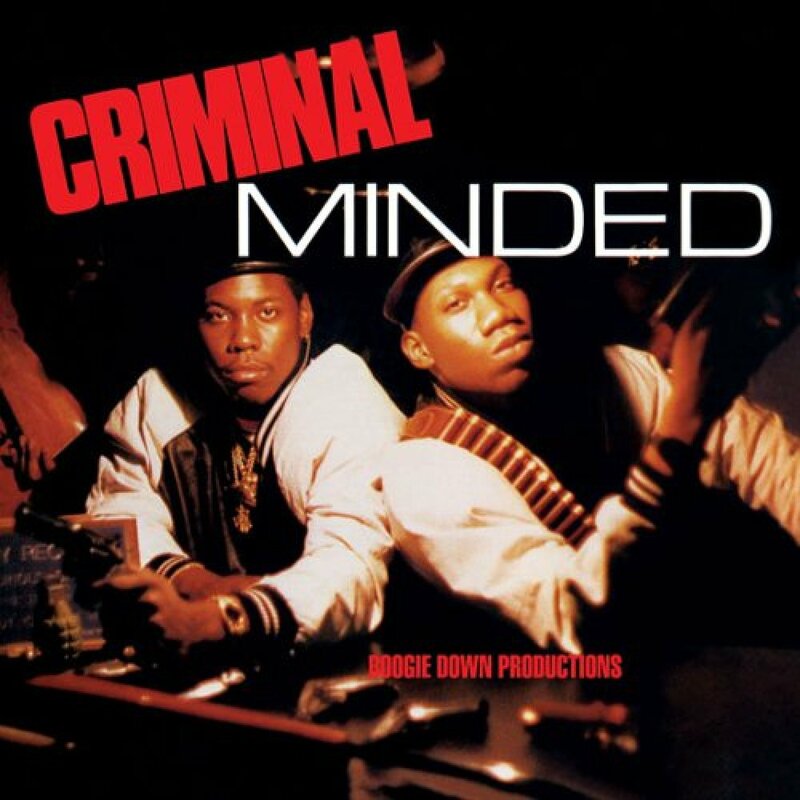 Boogie Down Productions played a profound role in hip hop, not only in forward socially aware thinking, but in creating the concept of "diss tracks". This was a brilliant creation and such a gift to hip hop. Here's someone I barely talk about but appreciate. Too $hort releases "Born To Mack" and the reason I mention this is because there's confusion about it. Its original release was in '87. Jive/RCA re-released it a couple years later after the success of his 3 other albums. The tracklisting is short (pun intended), but the content is....well....interesting. IMO, Too $hort is the male version Lil Kim in every way (he paved the way for her I think). His lyrics are incredibly explicit and as much as people dog him for being "misogynistic", it's his trademark and he delivers well. Regardless, Too Short has a very large fan base and since this his first studio "big label" release, it secured his status as a dope mc. 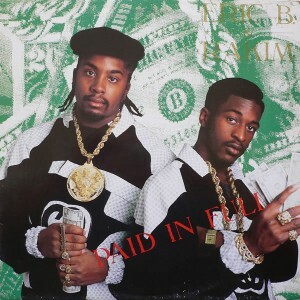 Eric B and Rakim release "Paid In Full", another masterpiece and one that has been covered in detail on the site so I won't get into it too much here. The album is another debut release and much like the others a very important one. Rakim is a legend and truly a "God MC" and Eric B a genius on the tables. These two are (once again IMO) the pioneers in the DJ/MC partnership amongst other aspects and their dynamic is incredible. The tracklist is on point and the heavy use of scratching is one of my favorite things. This is one of the greatest albums of the entire era. It doesn't stop there, '87 is to thank for Ice-T's "Rhyme Pays" which was his debut but again, DAR has covered Ice in great detail (definitely a great read), so I won't talk about the impact and brilliance of this album. LL Cool J released "Bigger and Deffer (B.A.D. )", which is dope and another fun addition to the year much like all LL releases. As I said earlier, 1987 was an important year packed with debuts that would spark a critical change in the genre. I have an immense amount of love and respect for the artists that debuted this year and remained relevant for decades after. They are truly the ones who shaped hip hop and created such a high standard of lyricism and production and are among the legends we appreciated some years after. -1987 is a year that will always be remembered regardless. It set the tone for the future of the genre and it certainly provided us with great music and moments. If you remember 1987 for anything, remember it for the music. That's what these years in hip hop articles have been about. Enjoying the years in hip hop for the best and the worst. This series has been amazing over the last 7 months and quite fun to contribute to and write. Thank you to all the DAR readers and those who enjoyed what we brought you with our Year In Hip Hop series and the opinions we provided for you. However, our usual Sunday articles will now be devoted to the NFL from next week until the end of the season. Thank you once again!